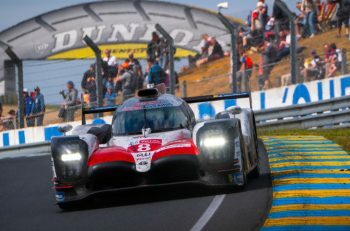 The week’s first session of qualifying kicked off at dot on ten o’clock, Wednesday evening, with conditions around the La Sarthe circuit almost perfect for quick times. A generous four hours of free practice – albeit curtailed by a number of red flag periods – and another hour’s Porsche Cup session had ensured that the detritus and filth from 50 weeks of road use had effectively been cleaned from the track, and all that race traffic had added a thin but vital sheen of rubber. We were expecting quick times right from the start . . .
. . .and we got them. 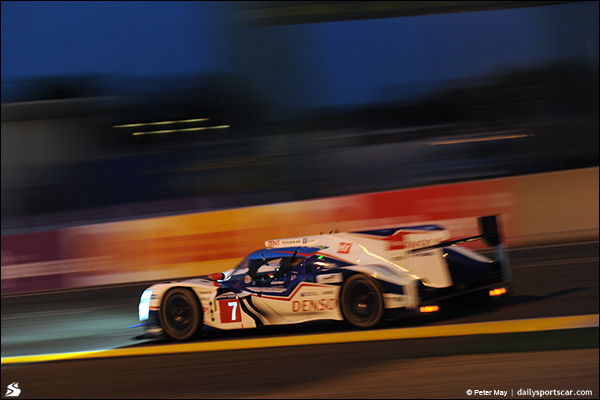 Alex Wurz was first out in the #7 Toyota, followed hotly by Anthony Davidson in the sister TS 040, and the two white and blue hybrids were instantly right on the pace. Wurz showed eager intent, with the fastest second sector of the day – but he wasn’t alone, because Neel Jani, in the #14 Porsche was responding with an impressive first sector to match. Wurz crossed the line with a 3:27.243, bettering Davidson’s first flyer by seven-tenths – but this was early days yet. Jani’s response was a 3:23.928, and instantly the #14 Porsche was through to the top of the screen. With a mere ten minutes gone there was already a sense of gathering excitement as the battle between the three factory teams intensified. Things were building up into the promise of a classic qualifying session. In LMP2, the free practice times seemed as nothing, as the remarkably tight competition between the top cars ensured that any one of six or eight looked to be in with a shout at pole. Unsurprisingly, Olivier Pla (#26 G-Drive Racing Morgan Nissan) was one of the first to stake a claim, heading the pack with a 3:38.843, but with only the narrowest of margins over other early-risers, including Paul-Loup Chatin (#36 Signatech Alpine), Alex Brundle (#35 G-Drive Ligier) and Tom Kimber-Smith; the Briton giving the #42 Greaves Zytek its first truly competitive run of the day. Having seen GT beaten into a random mix during Free Practice (and topped off by Thiim in the #95 GTE-Am Aston) there was a more regular structure as the serious issue of qualifying got under way. Stefan Mucke was making an early mark (with 20 minutes gone) and had the #97 Pro Aston fastest in GT from Makowiecki second for the #92 Porsche and Gianmaria Bruni third for AF Corse. 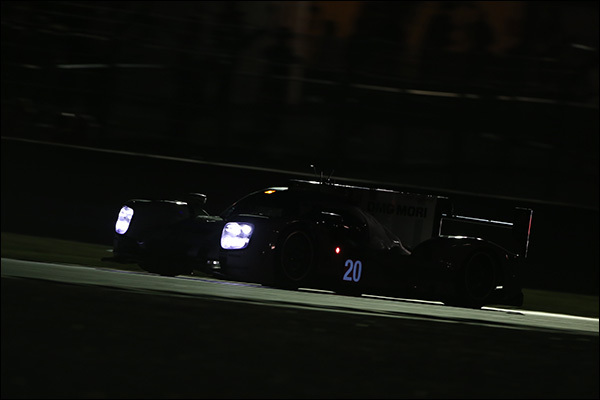 That twenty minute marker will also be remembered as the moment when Brendon Hartley popped up in the #20 Porsche 919 Hybrid and clocked a new benchmark for provisional pole; 3:23.157 not only being the quickest time of the day, but also matching the best we’d seen during the official test on June 1st. Having held their fire through practice, the Porsches were starting to show their true colours. 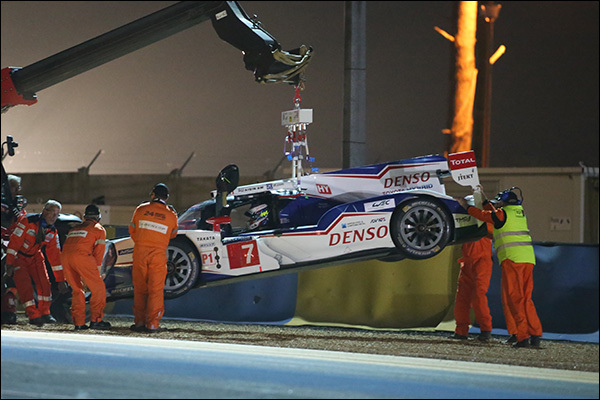 With the Porsches lying first and second, Anthony Davidson reclaimed third for Toyota, while Albuquerque and Lotterer slotted the #3 and #2 Audis into fourth and fifth respectively, forcing Wurz briefly into sixth. Hartley fired in a final flourish with a fastest middle sector before pitting the #20 for some tweaks and adjustments. 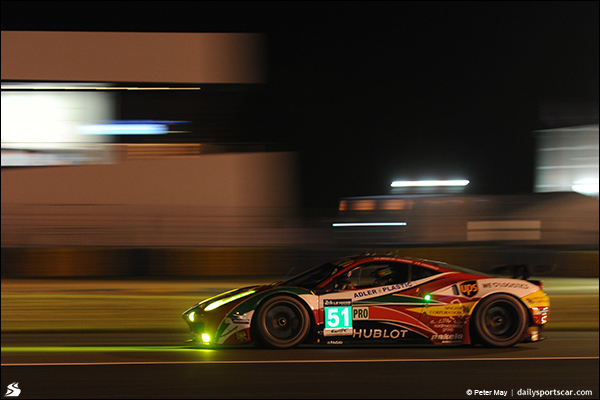 With only a second covering the first five in LMP2, Gianmaria Bruni snatched top slot in GTE-Pro for the #51, leap-frogging the #97 and #92. GTE-Am was being fronted by the #72 SMP Racing Ferrari 458, from Luis Perez-Companc (#61) and Pat Long (#77 Dempsey Racing Porsche. As the #20 Porsche returned to the track, the red flags were already flying for the first time in Qualifying. Nic Minassian aboard the #37 SMP Racing Oreca had been involved in an accident in the Porsche Curves and the session would be suspended for 20 minutes. That gave everyone a moment to take stock, and for the teams behind the six cars still yet to set times to work towards joining the session. Two of those, the #1 Audi and the #90 8Star Ferrari were known absentees, but the #0 ZEOD RC was expected, after the practice session’s gearbox issues had been addressed, and so too the #67 IMSA Porsche, the #41 Greaves Zytek and the #76 IMSA Porsche. The session resumed with Brendon Hartley’s best holding that provisional pole for the #20 (Mark Webber taking over driving duties) from the sister 919, #14, and Wurz back out once more in the #7 Toyota. The #0 ZEOD RC was among the first to leave the pitlane, Lucas Ordoñez in the svelte cockpit, but only to complete an installation lap and then return to the garage. Others to join in included the #41 Greaves Zytek and the #76 IMSA Porsche. Meanwhile, the #7 Toyota had only reached the Dunlop Bridge before slowing to a halt, just moments before the session was stopped for the second time. The red flag interruption this time came courtesy of a heavy shunt for Fernando Rees in the #99 Aston Martin, who clouted the barriers side and rear through the Porsche Curves, losing the rear wing and much of the left-hand side of the car in the process. The clock ticked on while the marshals and recovery crews removed the damaged Aston and then attempted to tidy the track and make good the barriers, but after another twenty minutes it was confirmed that the day’s session would not resume. 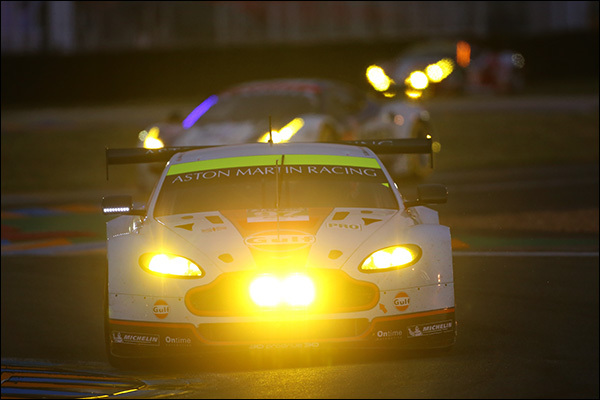 The Aston may have been a mess, but the barriers themselves had also sustained structural damage that couldn’t be made good within the time remaining, and so session drew to a premature close. There was good news though, with reports coming from the Audi camp to confirm that Loïc Duval had emerged virtually unscathed from his accident in the #1 R18 e-tron Quattro, sustaining little more than cuts and grazes. 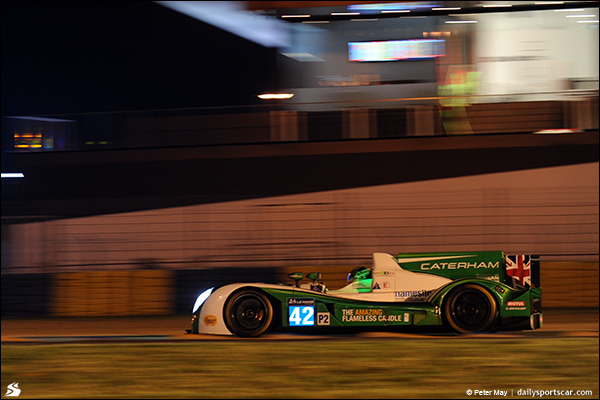 This is testament, once again, of the remarkable strength of the tubs in this current generation of LMP1 sportscars. Tomorrow evening will see qualifying resumed, with the first of two further two-hour sessions commencing at 7:00 pm. The Porsche squad should be able to face that prospect with fresh confidence, standing first and second overnight, but knowing that both Toyota and Audi must have pace in reserve. Audi will also be back to full strength, with the #1 almost certain to be fully rebuilt around a new tub and ready to challenge. Tonight’s session held tremendous promise, but was disrupted by too many incidents. 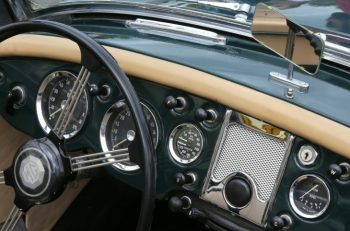 It seems hard to believe that there won’t be some serious de-briefing going on between now and the Thursday evening, and we can only hope for a cleaner, uninterrupted four hours of serious qualifying. For a blow-by-blow account of this, and other track sessions, please review the DSCRaceLive feed on Twitter.